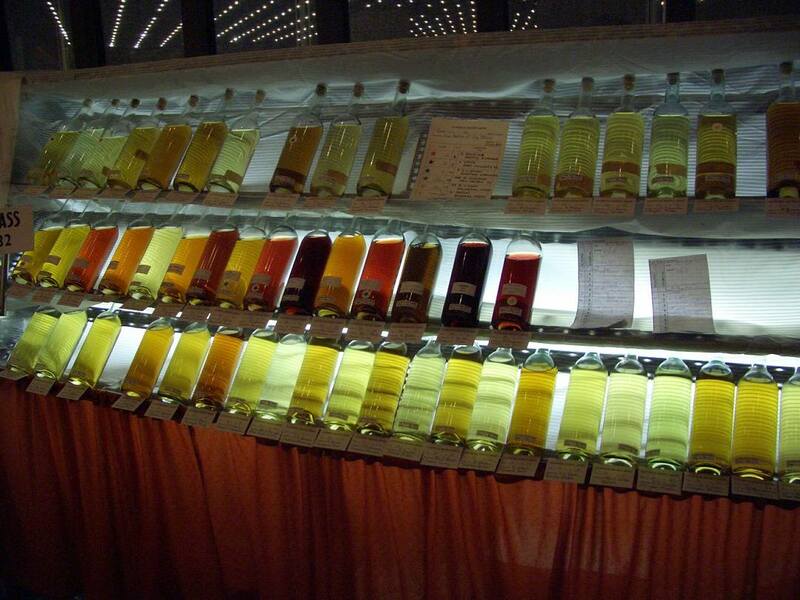 Mead and variations on mead like metheglin have been enjoyed since pre-history. Mead and other honey based drinks were a staple of Celtic, Anglo-Saxon, Medieval and Renaissance Britain. Mead is technically a fermented alcoholic drink made from just from honey and water but many modern recipes include lemon, which would not have been available in stone-age Britain. Mead was the traditional drink for festivals and celebrations, which is probably where the term ‘honeymoon’ originated – the moon (month) after the honey (celebration). Metheglin is a honey based liquor in which spices are used. Melomel is made by mixing honey with fruit juice, pyment is honey mixed with grapes, hippocras is honey mixed with grapes and herbs and cyser is honey mixed with apples. Most of us would just refer to them under the name of mead but the number of special names shows the importance of the drink in days gone by. Originally it would have been wild yeasts or baker’s yeast but nowadays you can buy (with a little hunting around) specific mead yeasts or use a wine yeast, like a Sauternes. The best yeast for mead would have to be a specific mead yeast but there’s really very little difference in result between that and the wine yeast. 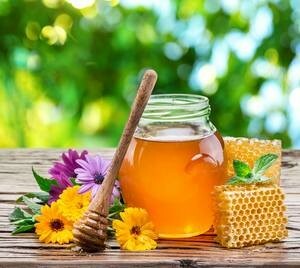 Honey in years past would contain a number of impurities that were actually beneficial to the mead as they provided yeast nutrients. Now, with better extraction techniques, honey is very pure so we need to add yeast nutrients to the mix. Some older recipes refer to adding a little marmite or a vitamin B tablet along with cream of tartar and other odd ingredients. The modern way of using a yeast nutrient is better as no odd flavours are introduced. I have replaced these old nutrients with modern in the recipes. Once the yeast is introduced to the must (the unfermented liquid) the fermentation will be very vigorous, too fast to immediately put into a demijohn defended from wild yeast by the airlock. Mead is particularly susceptible to wild yeasts taking hold with unpredictable results for the final product. Because of this fast fermentation, the airlock is likely to be overwhelmed. So we start the process in a brewing bucket or bin, covered to prevent wild yeast entry. To minimise the time in the brewing bin, we want the fermentation to start as quickly as possible at full tilt and subsequently calm down faster. To do this we get the yeast started the day or better still two days before commencing the brew. Take a sterilised jar and add a tablespoon of honey. Pour on a ¼ pint to ½ pint of boiling water and stir to mix. When cooled to 20°C or below, add the yeast and yeast nutrient. Keep covered but not airtight, a muslin cover affixed with a rubber band or string is ideal. When added to the must it will get going within an hour or two as the yeast has re-hydrated and multiplied already. Last, but not least in importance for making mead is the honey that forms the basis. The honey used will have a huge effect on the final flavour of your product. The cheapest imported honey available in supermarkets will produce a bland product with no depth of flavour. Little better than using sugar. As the flavours of honey can vary greatly, taste different honeys and select types with a depth of flavour. Local suppliers will often allow you a small taste before you buy. Like good wines, mead improves with age. The flavour matures and deepens as time goes on. Many prefer to store their mead in demijohns fitted with an airlock in case fermentation re-starts. When they’re ready to drink it, rather than stop it with a Campden tablet they rack and bottle it to be drunk quickly.